M-1 Challenge, one of the last bastions of non-Zuffa MMA left in the world, airs for the first time on Showtime this Friday night. And while the main event between Artiom Damkovsky vs. Jose "I won the M-1 Challenge Americas Tournament with only nutshots" Figueroa may not be much of a draw, there is one solid reason to tune in. His name: Tyson Jeffries. Jeffries won the M-1 Challenge Americas tournament last year at middleweight, and after watching him fight a few times it became apparent that the dude is a Terminator. Not a Terminator like the T-1000, which can take on the appearance of whomever it touches and form simple shapes like blades with its appendages. No, more like the T-888, which is a more advanced model than those seen in the Terminator movies and is used for high-level infiltration and assassination (see the The Sarah Connor Chronicles TV series). As skills go, Jeffries employs some deadly Muay Thai, and his camp - Team Quest - has got his wrestling and anti-grappling honed to a keen edge. However, the most telling trait Jeffries possesses is that Chris Leben-esque ability to get rocked and, while on autopilot, simply go for the kill. It's actually kind of awesome to watch, and with Jeffries facing Russia tough guy Magomed Sultanakhmedov for the vacant M-1 Challenge belt, the chances are pretty good that we'll see a legitimate "termination" in the ring. So yeah, M-1 Challenge on Friday. Tune in. 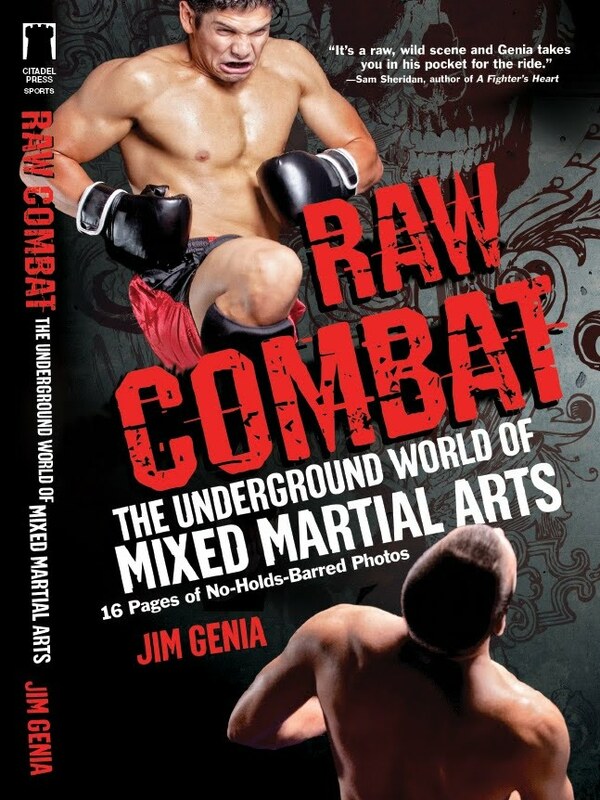 "The evolution of the MMA media is fascinating, especially because I’ve witnessed it firsthand. Years ago, magazines and newsletters were king, and their reps were accorded the most respect in terms of treatment. Then, as those outlets died off, websites publishing hard news (i.e., full stories with fresh quotes and analysis) gained prominence. Then blogs took over. Now, from what I see, it’s all about twitter. 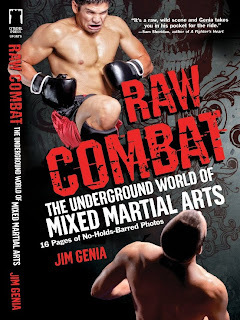 The driving force behind this evolution is of course economics – when publishers saw there was virtually no money to be made in MMA magazines, they got out, and websites started getting funded. Then when free blogging platforms emerged, and people realized regurgitating available news cost less but scored just as many eyeballs, the blogosphere became the new media leader. And what’s even cheaper than bloggers? Social media. I think the trick for anyone with any aspirations on longevity in the MMA media industry is a revenue stream outside of the finite capital sources MMA media commands. AOL cut your funding? SBNation giving you the boot? Dude, write a book. That’s what I did. For the MMA media, it’s all about the hustle. Back in the day, well-known journos would moonlite as PR men for the very promotions they covered, ghostwriting press releases, event programs… you name it. Hell, I wrote PR stuff for the old WFA (the John Lewis version), and one of my fellow FCFers (who went on to Sherdog) was writing content for Zuffa’s glossy programs that they handed out at UFCs. This is how media members make the business model work."